After finished dive trip of the day some of the diver will talk about what they have seen underwater world and note it in the Log book also some student will finish the course just take some photo with Instructor. 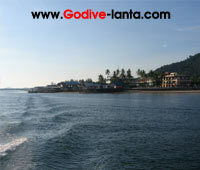 Everyday gonna be like that all the time but we feel good to do that for everyone who come to dive with Go Dive Lanta. Hope to see your guy soon.